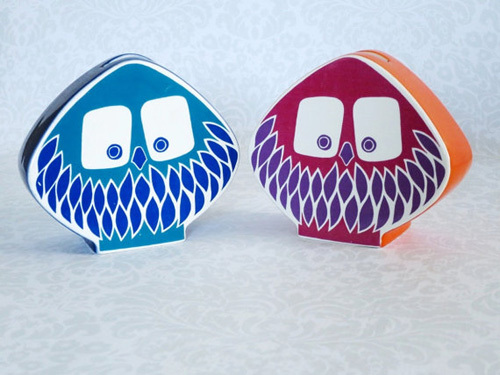 Carlton Ware Owl Money Bank, from here. 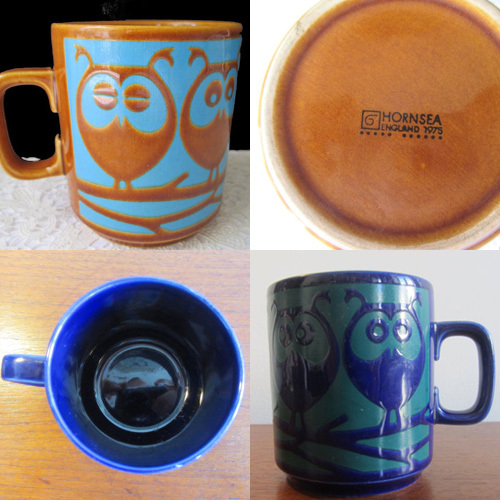 Hornsea Owl Mugs designed by John Clappison. From here and here. 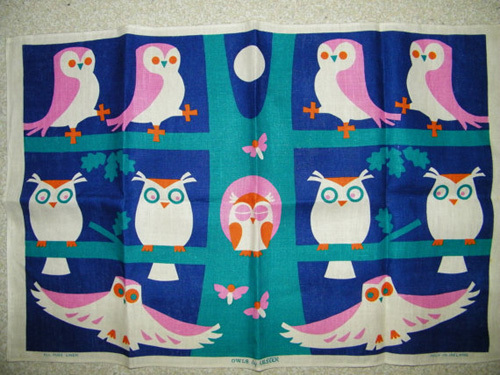 Ulster Weavers owl kitchen towel, from here. 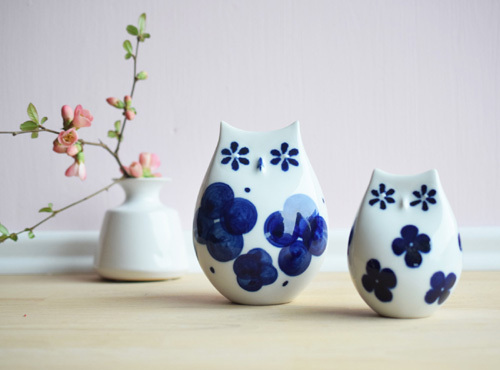 Hand-painted porcelain owls by Rörstrand, designed by Sylvia Leuchovius. From here. 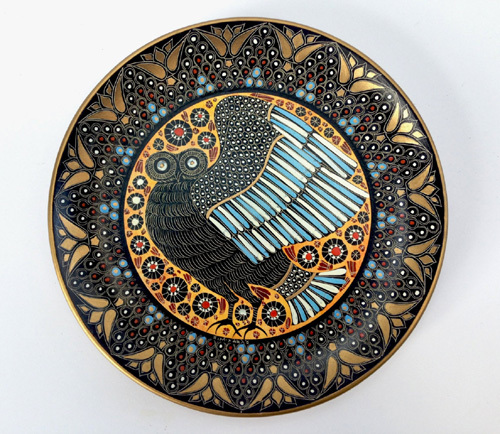 Owl plate hand-painted by P. Michaylou Delphi, Corinthian period. From here.